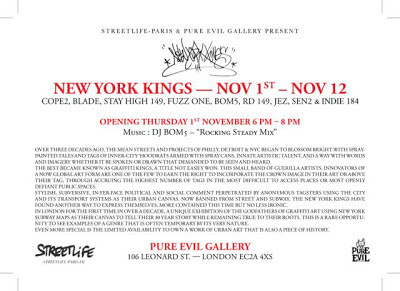 NEW YORK KINGS is an exhibition of work created by some of the most infamous NY graffiti writers. 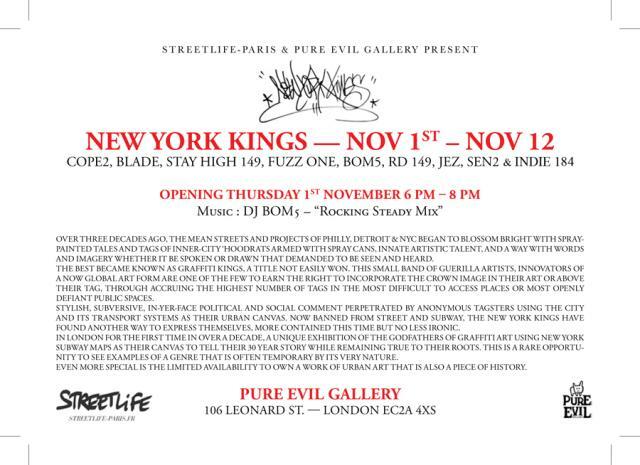 It kicks off in London on Thursday 1st November 2012 and will be held at PURE EVIL GALLERY in Leonard Street EC2. Featuring work by legends like BLADE, COPE2, BOM5, STAY HIGH 149, FUZZ ONE, RD 149, JEZ, SEN2 and INDIE 184. 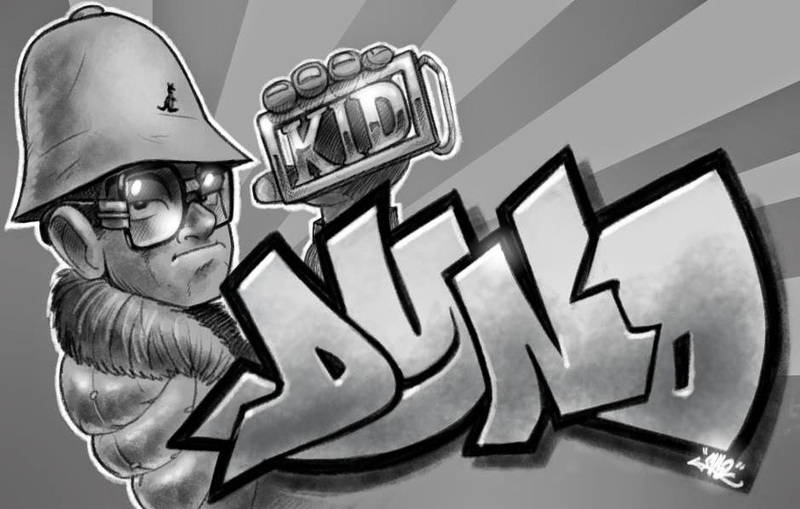 Over thirty years ago, the mean streets and projects of PHILLY, DETROIT and NEW YORK CITY began to blossom bright with spray-painted tales and tags of inner-city kids armed with spraycans. The best amongst them became known as graffiti kings, and as such they had earned the right to use the crown either above or incorporated into their tags. Many of these Kings are still with us and fortunately still painting today. NEW YORK KINGS exhibition aims to bring together some of this graffiti royalty to show off their work and help tell their tales. 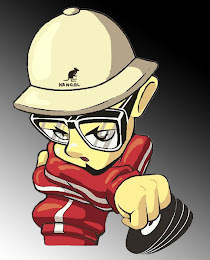 But to those writers who are no longer with us especially STAY HIGH 149, IZ THE WIZ, DONDI and KASE2, may they all rest in eternal peace surrounded by clouds and embellished with cracks, shines and shadows!